Darsombra Hit The Road For Massive Summer Touring! 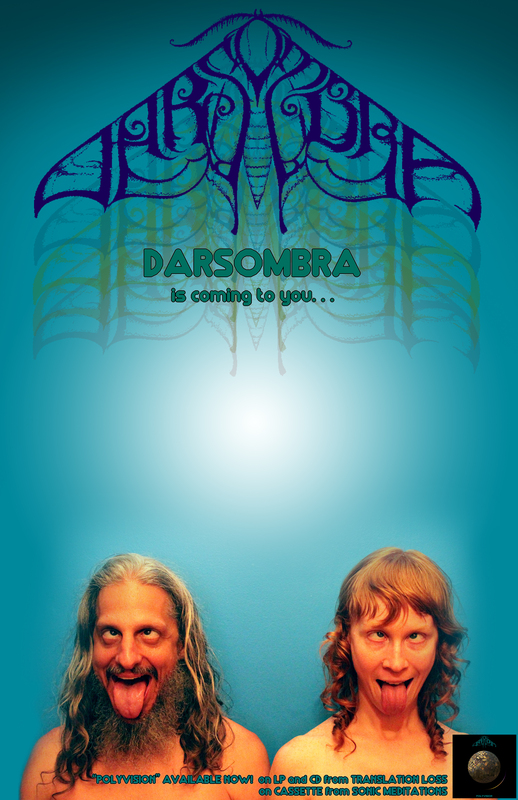 Maryland psych duo DARSOMBRA hit the road today with their first stop in New York! The extensive tour will travel up through the Northeast and then cross over into Canada for 16 dates. Upon their return to the U.S., DARSOMBRA will meet up in the Pacific Northwest with Mike Scheidt (YOB) for three dates and then continue on their journey back around the United States. Their massive tour celebrates their latest, critically acclaimed release, ‘Polyvision’, released in April of 2016 with Translation Loss Records. Follow DARSOMBRA on Facebook and don’t miss one their expansive, mind-heart altering events coming to your town soon!